Posted on May 18, 2018 at 10:37 am. The Las Vegas Palms Casino Resort which is owned and operated by Station Casinos, a subsidiary of Red Rock Resorts, is reopening on May 18 following a $620 million renovation. The casino resort was constructed in 2001 and acquired by Station Casinos for $312.5 million in 2016. The new owner started extensive renovation projects on the resort in February 2018. Some of the completed renovations to be unveiled on May 18 include a new floor model, with hotel amenities such as restaurants and a contemporary art program that covers the entire casino facility. About 40 new table games and 1,100 video poker and slot machines will be installed on the newly remodelled casino floor. Jon Gray, General Manager of Palms Casino Resort, said the unveiling of the new hotel and resort will give guests a glimpse into what the management is planning to achieve down the road with the casino resort. “We’ve teamed with the very best partners, from our celebrity chefs, nightlife providers, artists, musicians and more, to provide our guests with an unparalleled entertainment experience,” he said. 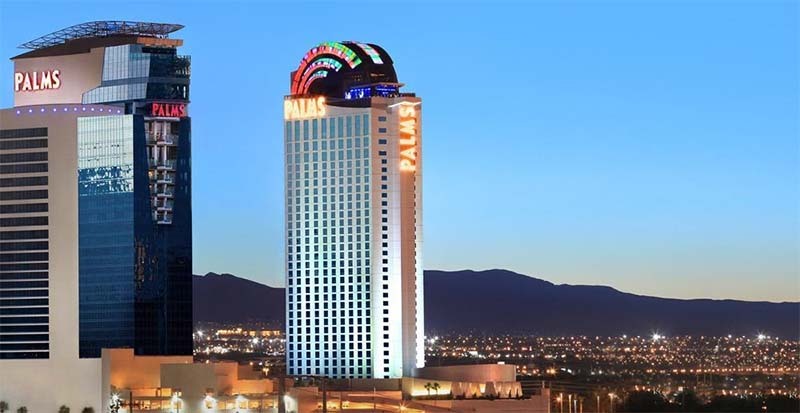 With the renovations and remodelling taking place at the Palms Casino Resort, the hotel and gaming resort will be better positioned to excel in the booming gaming industry. It will also be well positioned to compete with other Las Vegas hotels and casinos for a share of the widening USA gambling market. Statistics reveal gamblers have won over $1 billion in the state of Nevada for three months running. 2009 - 2018 OnlineCasinoSite.com. All rights reserved 18+ Gamble responsibly.